Peru has announced their final squad for the Copa America which will be taking part in the United States as from the 3rd June. 23 players have been selected by the Peruvian coach Ricardo Gareca. He said that he has chosen the best players at the moment, and he believes that they can go far in the tournament. Players such as Claudio Pizarro, Jefferson Farfan, and Juan Manuel Vargas are all excluded from the side that will participate in the Copa America since the coach wanted to give younger players a chance to represent their country. This is no surprise since they were not included in the 40-players squad that was announced in April. This might come as a deception for Claudio Pizarro, who was hoping that he could participate in his last Copa America tournament at 37-years old. The men national football team in Peru are preparing for friendlies lined up prior the Copa America coming up this summer. The team has had a shambolic form in the world Cup qualifying campaign in the CONMEBOL group. Of the ten teams vying for a place at the World Cup finals, Peru lie in 8th position after garnering just four points from the six games played so far. The team fought hard against Chile but lost at home 3-4 late last year. The loss propelled the team in the next game against Paraguay where they finished with the three points courtesy of a lone goal at home. They faced the last World Cup host, Brazil next but fell to a three nil defeat in an away match that felt the team scarred. They eventually forced a draw against Venezuela during the March international break but Luiz Suarez and Edison Cavani ran riot in the recent victory of Uruguay against the Peruvian side. 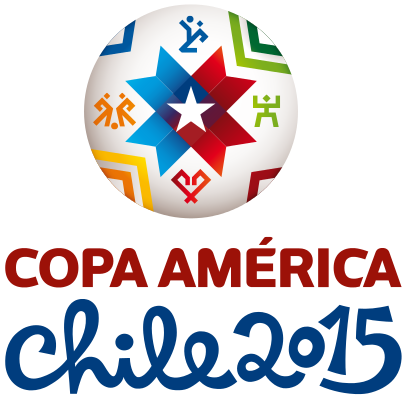 Peru was pitted against Brazil, Haiti and Ecuador in group B for the 2016 edition of the Copa America Centenario. Making it past this group will not be an easy task as they have tough opponents to face in this approaching tournament. Ricardo Gareca is the coach of the Peruvian national football team and he has his work cut out. Peru has recently been sustaining a number of defeats as they lost against Uruguay and had to settle with a 2-2 draw when facing off with Venezuela in their latest World Cup South American qualifications. The first opponent that Peru will play against is Haiti as both sides lock horns on June 4 and the Haitian side made a fairly impressive string of performances during their 2015 CONCACAF Gold Cup run where they were placed in group A along with United States, Panama and Honduras. Xavi Hernandez is another as one of the greatest ever players for Barcelona in the last couple of decades. In fact, he would be one of the best players in the history of the club. Such is the contribution of the 35-year-old not just to the trophies won but also for the style of football. It was under the presence of Xavi at his peak when Guardiola brought back the passing style of football at the club to immense success. However, Xavi choose not to retire at the Camp Nou since he was in increasingly forced away from the first team. There are some players who knock on the door of the national team and then, there are others who just break open that door. Philippe Coutinho seems to be the one belonging to that second category. The 22-year old Brazilian midfielder who has not been featuring for his national team in the recent times has now made it difficult for the Selecao boss Dunga to ignore him. He has been showing a bit of a Midas touch for the Reds in the English first division Football this season. It’s not only the goals that he has scored. A lot of players actually find the net, but, there are only few who catch the eyes. Those who tend to score on big occasions are spoken about the most. In pressure situations with whips cracking, Coutinho has lifted his game and has done the job for Liverpool and perhaps, tried to send a message to Dunga that he is ready for a national recall. Sergio Markarián was the last coach to be in charge of the Peruvian national football team but ever since his departure from the managerial position in the team in 2013, there has not been anyone else that has officially taken up that spot.